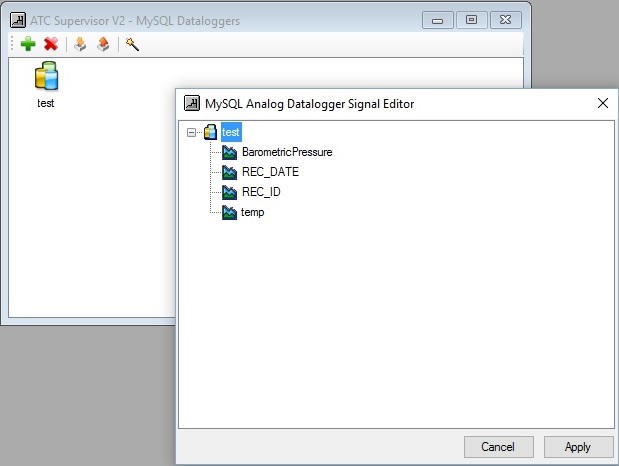 Data logger service performs data logging on the configured Tags. The service can write the Tag data to Data Files or in MySQL, MSSQL or InfluxDB Database. Data-loggers can be configured for snap-shot tag value recordings in programmable intervals or can be use average functions between the logging intervals. The Data Files recorders are generated in daily base and use compression to reduce the used disk space.